Several things can cause a dog to lose its hair and develop bald spots. 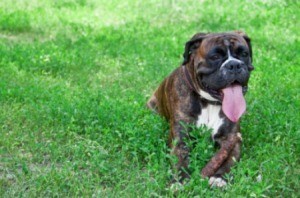 This is a guide about remedies for a dog with bald spots. One of our working dogs has patches of bare skin were she has lost hair. Could this be due to diet or neurotic behavior? She is a wired hair German Pointer. We had a similar problem with our fox-terrier. He pulled lumps out of his fur. We then discovered what went into canned dog food and put him on a fresh-meat regime (adding vegetables for vitamins and minerals). He is now totally cured. No allergies whatever. 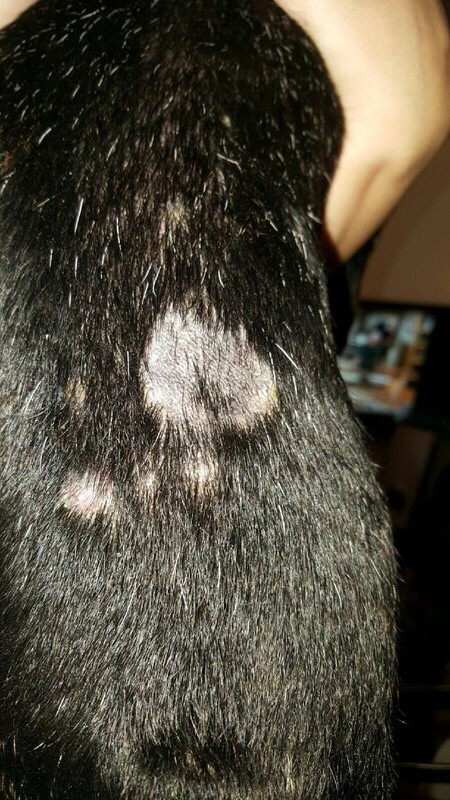 One my dogs had issues with bald spots on her hind quarters. I started feeding her good quality food. Natural Balance is excellent, Merrick and Evangers are excellent too. Make sure the dog food does not have any byproducts, hormones, antibiotics, added salt, BHA/BHT, artificial flavors, fillers, wheat, flour, corn, soy or sugar. This is all junk and will cause your dog to have allergies, skin and health issues. Once I made the switch it wasn't long before all the bald spots were growing healthy hair. She never had the problem again. My one year maltese has two bald spots one on his left shoulder and the other on his left front leg. The one on his shoulder his vet. told me that it is a result of an injection sight. He also said that there is nothing that can be done for this problem. I'm going to get a second opinion on his diagnosis, because that does't explain or even relate to the spot on his leg, I mean I'm sure nobody gave him an injection there. My 6yr old Boston Terrier named Buzz has developed bald spots on his lower back. Also, now they are on his neck area. They are getting bigger and he is getting more as the days go by. He has had demodectic mange before, but this doesn't look like it's that. This looks different. These spots are itchy, scaly, inflamed, and dry. I feel so bad for him. We are tight on money so I can't take him to the vet right now. Any advice or home remedies will be appreciated! You could try rubbing coconut oil on the spots. Feeding your dog whey could also help his skin.